The debate over whether a bacterium can incorporate arsenic into its DNA just flared up again, with the posting yesterday of a paper refuting the idea on ArXiv, an electronic preprint archive primarily used by astronomers, mathematicians, and physicists. The controversy began in December 2010, when NASA astrobiology fellow Felisa Wolfe-Simon and colleagues described online in Science a microbe called GFAJ-1, which grew, albeit slowly, in the presence of arsenic, leading the authors to conclude the bacterium had taken up the toxic element and incorporated it into its cellular components. The report, amplified by a NASA press conference, quickly lit up the blogosphere and Twitter and led to the unprecedented publication of eight critical technical comments alongside the print version of the paper. Wolfe-Simon and her colleagues agreed to make samples of GFAJ-1 available and now one vocal critic, Rosemary Redfield, a microbiologist at the University of British Columbia, Vancouver, in Canada, has grown the bacterium in the presence of arsenic and found no evidence of its uptake in the microbe's genetic material. "The data they have supports the conclusion there is no arsenic in the DNA," comments Michael Bartlett, a chemist at the University of Georgia, Athens, who is an expert in mass spectrometry of DNA, RNA, and related molecules. Redfield, who chronicled every twist and turn of her experiments on her blog, and is back on the authors," she says. "They are going to have to provide some better data than they did in their paper." For years scientists have debated what could have plunged Europe into the half-millennium-long cold spell that ended only a century ago. Was it the temporarily spotless and therefore faint sun, or did a burst of volcanic eruptions loft debris that shaded out a normal sun? Or were the sun and volcanoes in cahoots? Researchers analyzing plants killed in the Little Ice Age's opening years are now pinning the blame on volcanoes alone. Solving this climatic whodunit has been hampered by the uncertain timing of the Little Ice Age's onset. So geologist Gifford Miller of the University of Colorado, Boulder, and his colleagues went to the best climate record they could find: intact plants emerging from beneath the retreating ice cap on Canada's Baffin Island. Carbon dating showed that most of the plants died between 1275 and 1300 as Arctic ice suddenly expanded across once-green terrain. The same signal of sudden cooling turned up in sediment from the late 1200s deposited in a glacier-fed lake in Iceland. Both high-latitude cooling signals coincide with an exceptional burst of activity from four tropical volcanoes. Each of them tossed more than a million tons of sulfurous debris into the stratosphere, according to ice core records, where it could block sunlight and cool the surface. Gifford and his colleagues take the coincidence of the Little Ice Age's onset and massive eruptions as evidence that the one caused the other. Is the "United Nations" a code word for the Illuminati? 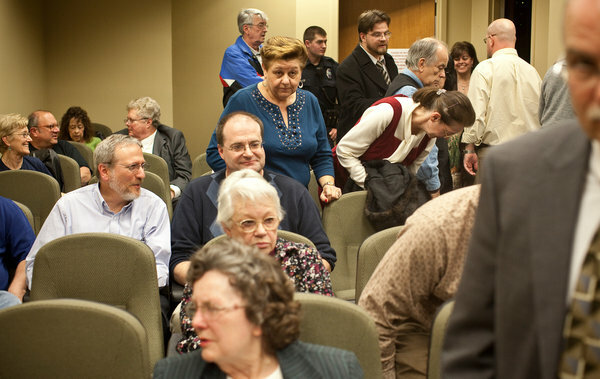 At a Roanoke County, Va., meeting, dozens opposed the county's paying $1,200 to a nonprofit. 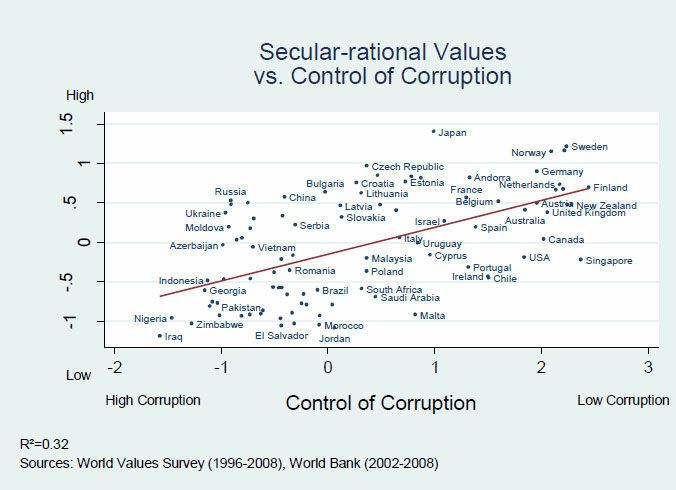 The World Values Survey has some interesting data on how religion and social morality correlates. Unfortunately, the article I'm referring to is from the Norwegian magazine Fri Tanke, but there's always Google Translate. 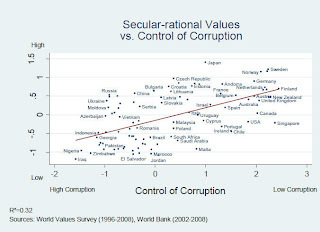 "[Bo Rothstein] points out that none of the 25 different indicators World Values ​​Survey's measure of human welfare, such as absence of corruption or the degree of confidence increases if religion gets more influence. Rather, it is quite the opposite. 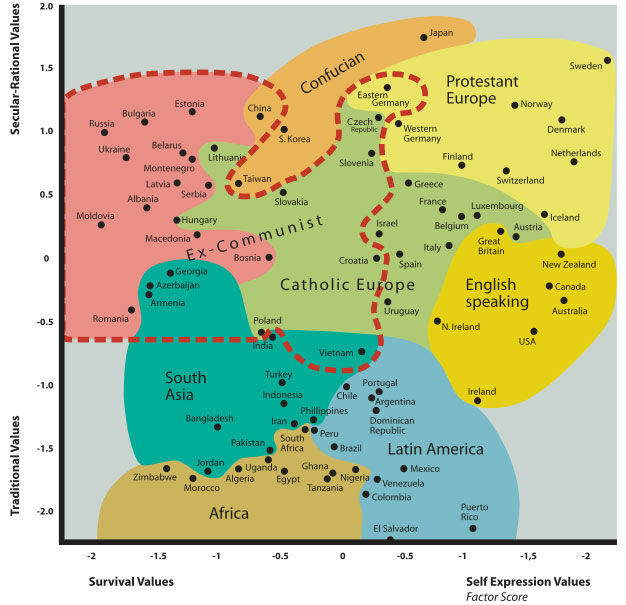 The results show that the more a society dominated by secular values, the higher is the human welfare. - Regardless of whether you go to organized religious practice or not, would you say that you are a religious person, not a religious person, or a convinced atheist? - Apart from weddings, funerals and baptisms, how often you will meet up at religious arrangements? - How important is God in your life? - Do you believe in life after death? 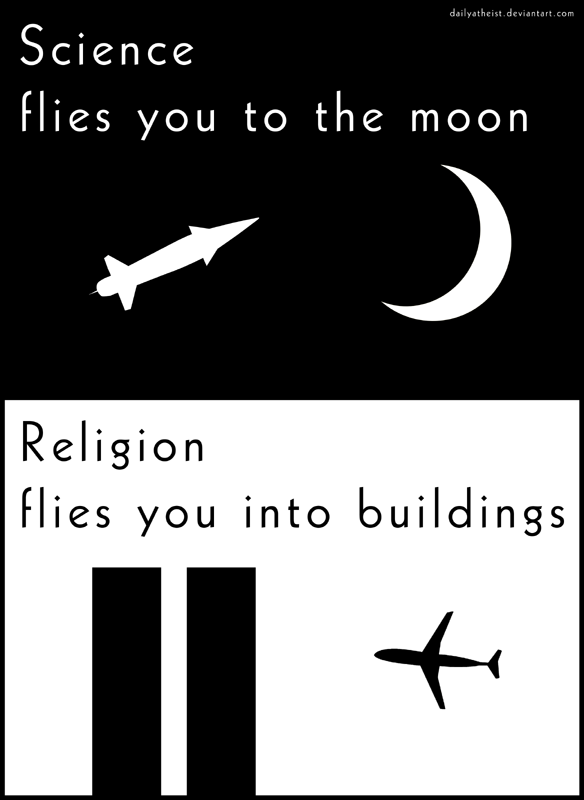 - Does your religion give you well-being and strength?" If you haven’t read it, you will almost certainly have seen it: the critique of Professor Richard Dawkins that arraigns him for being too “strident” in his confrontations with his critics. According to this line of attack, Dawkins has no business stepping outside the academy to become a “public intellectual” and even less right to raise his voice when he chooses to do so. Implied in this rather hypocritical attack is the no less hypocritical hint that Dawkins might be better received if he were more polite and attract a better class of audience if he used more of the blessed restraint and reserve that is every Englishman’s birthright and which he obviously possesses in such heaping measure. I think that Dawkins would be quite right to refuse the oily invitation that is contained in this offer, and I hope that he continues to do so. I say this while having actually found his manners to be quite unusually polite and even quiet, especially when one considers the context of this discussion. I, for example, am a self-taught amateur writer who quite enjoys getting a bit scruffy in debates with those who think that Earth was designed with them in mind. Dawkins, on the other hand, has spent decades of his life refining and deepening the teaching of evolutionary biology—a revolutionary subject that is only just beginning to disclose its still-more revolutionary, and healing and educational, properties and aspects. Why should he sit still and see a valued and precious discipline being insulted, even threatened with not being taught? It’s no exaggeration to say that in some parts of the modern world, real efforts are being made to stifle evolutionary biology and to impose the teaching—under various disguises of differing ingenuity—of creationism. In which case the real question ought to be: Where are the other professors? Why is the academy being so cowardly in failing to stick up for the teaching and the free inquiry on which it lives? I don’t think that Professor Dawkins should be left to do this important work all by himself. In doing so at all, of course, he comes from a potentially great tradition. In the famous nineteenth-century debate with Bishop Wilberforce, or “Soapy Sam,” in which the theory of evolution was tried and found sound in the Oxford school, it was Thomas Huxley who emerged as “Darwin’s bulldog.” It wasn’t to be expected that the mild and retiring Charles Darwin would or could appear each time to defend evolution by natural selection, but at least there was someone upon whom he could rely, and the evidence is that Huxley was very happy to undertake the task. My view now would be that that was all very well for the nineteenth century, when the struggle was to expand and deepen the circle of scientific knowledge. But now that the discipline is clearly established, it should not require a full professor to justify his right to be teaching it! Instead, he and others should be getting on with important projects. Yet just today I spoke to some biologists who work closely with the National Institutes of Health and are regularly forced to waste time in red-herring discussions about the ethics of using existing stem cells. Alas, in testimony before Congress, they are forced to be polite and understated, lest they meet with the wrath of God. Update: Please note that the Muslim politician referred to in this story has issued a denial and says his words were taken out of context. 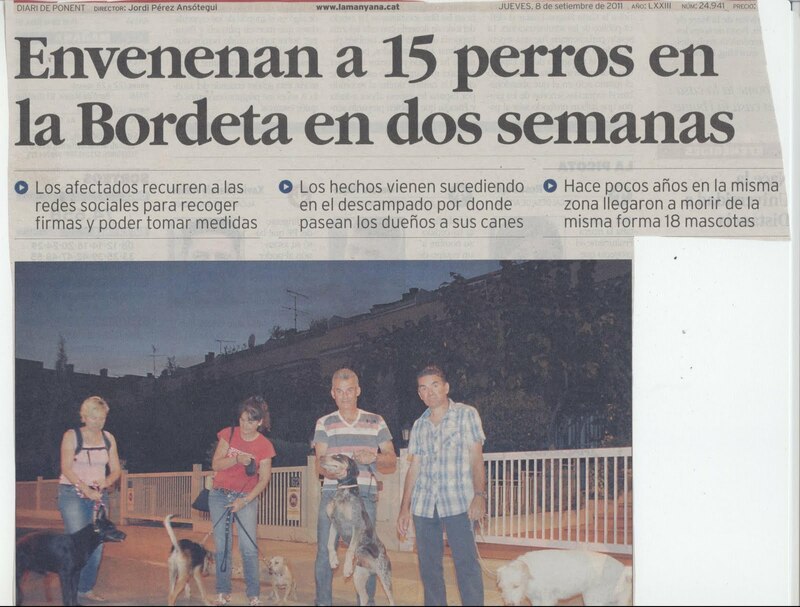 Apologies for over-hasty posting of the original story on our part. We will now close comments on this thread. 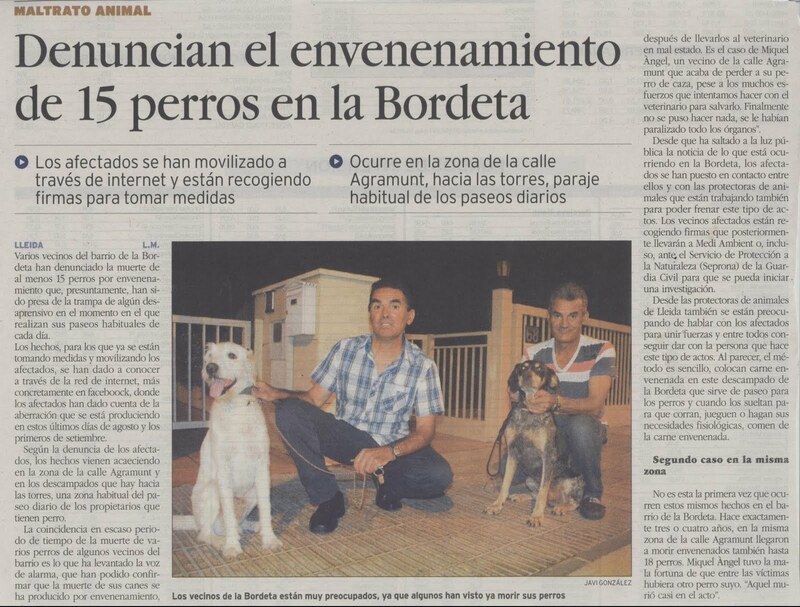 Islamic legal tradition holds that dogs are "unclean" animals, and some say the call to ban them in Holland and elsewhere represents an attempted encroachment of Islamic Sharia law in Europe. 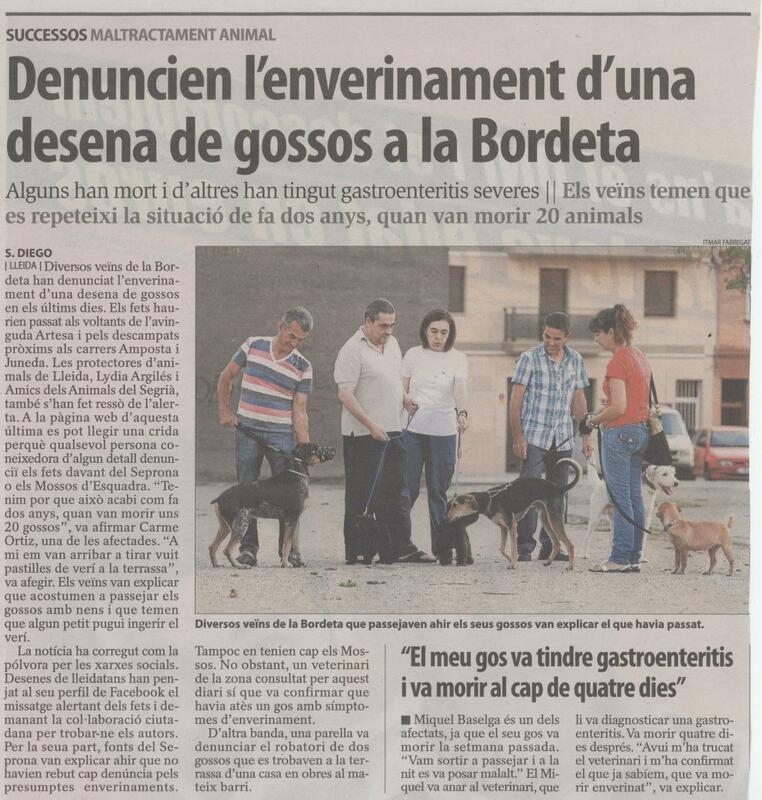 This latest canine controversy -- which the Dutch public has greeted with a mix of amusement and outrage -- follows dozens of other Muslim-vs-dog-related incidents in Europe. Critics say it reflects the growing assertiveness of Muslims in Europe as they attempt to impose Islamic legal and religious norms on European society. 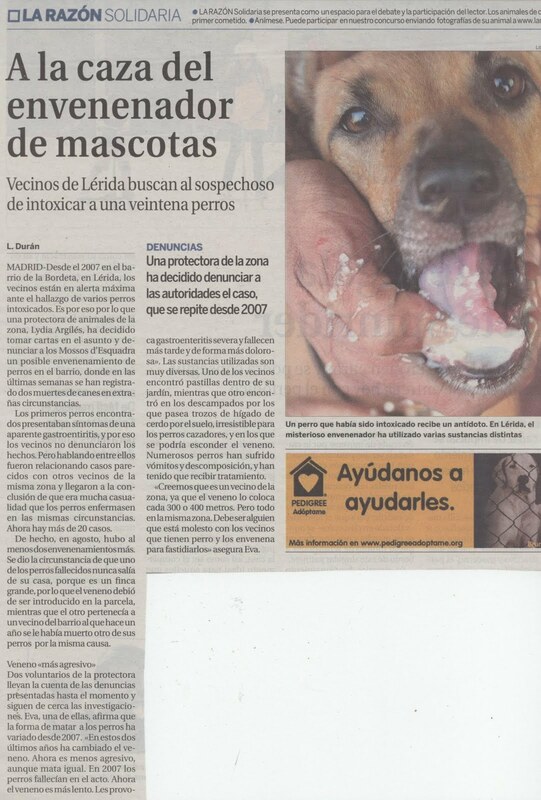 According to a January 28 report in the Amsterdam-based newspaper De Telegraaf, Küçük counter-argued that keeping dogs as pets is tantamount to animal abuse and he then called for the possession of dogs in The Hague to be criminalized. According to its website, the Islam Democrats [ID] party is "founded on the Islamic principles of justice, equality and solidarity. ID is a bottom-up response to the large gap between the Muslim and immigrant communities and local politics…ID focuses on the political awareness within the Muslim and immigrant communities. 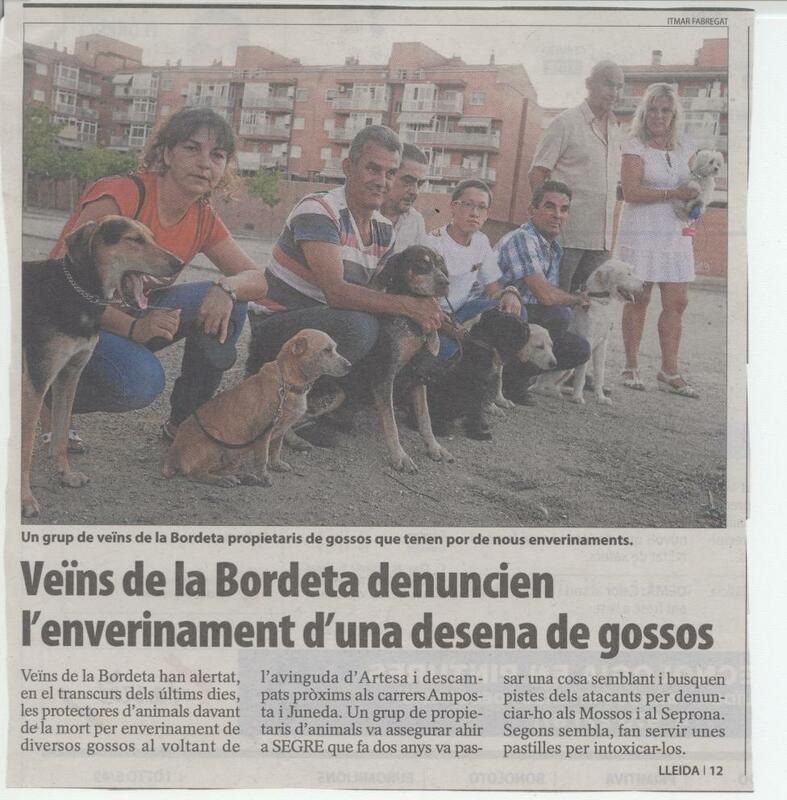 Awareness about the need to organize, but also the need for mutual support." plan to put colonists on lunar soil. hope to Atlanta Freethought Society. A new report from the Thomas B. Fordham Institute paints a grim picture of state science standards across the United States. But it also reveals some intriguing details about exactly what’s going wrong with the way many American students are learning science. Standards are the foundation upon which educators build curricula, write textbooks and train teachers– they often take the form of a list of facts and skills that students must master at each grade level. Each state is free to formulate its own standards, and numerous studies have found that high standards are a first step on the road to high student achievement. “A majority of the states’ standards remain mediocre to awful,” write the authors of the report. Only one state, California, plus the District of Columbia, earned straight A’s. Indiana, Massachusetts, South Carolina and Virginia each scored an A-, and a band of states in and around the northwest, including Oregon, Idaho, Montana and Nebraska, scored F’s. (For any New Yorkers reading this, our standards earned a respectable B+, plus the honor of having “some of the most elegant writing of any science standards document”). What exactly is going wrong? The study’s lead authors identified four main factors: an undermining of evolution, vague goals, not enough guidance for teachers on how to integrate the history of science and the concept of scientific inquiry into their lessons, and not enough math instruction. Let’s take these one by one. For evolution, the report points out that eight anti-evolution bills were introduced in six state legislatures last year. This year, two similar bills were pre-filed in New Hampshire and one in Indiana. ”And these tactics are far more subtle than they once were,” write the authors. “Missouri, for example, has asterisked all ‘controversial’ evolution content in the standards and relegated it to a voluntary curriculum that will not be assessed … Tennessee includes evolution only in an elective high school course (not the basic high school biology course).” Maryland, according to the report, includes evolution content but “explicitly excludes” crucial points about evolution from its state-wide tests. Censorship and freedom of speech, then, are much in my mind this week. Cohen’s book, I should say, includes other aspects of censorship and intimidation which I shall not discuss here, including the tacit censorship imposed by the charter for libel tourism which is the current Law of England, and the intimidation of bank employees by dictatorial bosses like the odious “Fred the Shred” (today deprived of his knighthood, and if we must have scapegoats it couldn’t have happened to a nastier man). At the Jaipur festival, in defiance of intimidation from the civil government, three courageous Indian writers began their literary presentations by publicly reading from The Satanic Verses. I chose to support Rushdie in a different way, by reading from my own ‘Words for Rushdie’, published in New Statesman at the time of the original fatwa – for that magazine was an honourable exception to the widespread fashion to blame the victim rather than the Muslim perpetrators of the outrage. The organizers of the festival were placed in an impossibly difficult position. Let down as they were by the spineless Rajasthan government, who had eyes only for the Muslim vote in the current elections, they did their best. They were personally threatened by a baying mob of bearded youths who invaded the festival compound promising murder and mayhem if Rushdie was allowed so much as a video link (as Germaine Greer said at the time of the Danish cartoons row, “What these people really love and do best is pandemonium”). Our whole society is soft on religion. 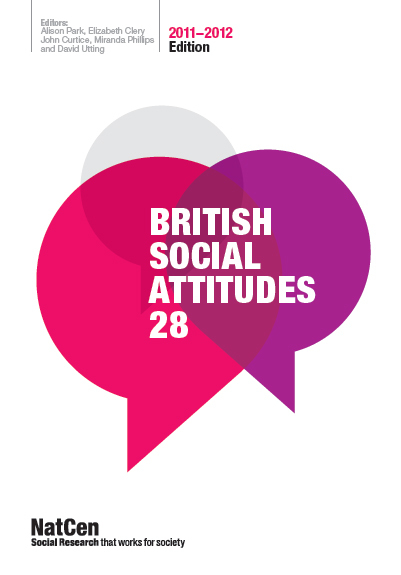 The assumption is remarkably widespread that religious sensitivities are somehow especially deserving of consideration – a consideration not accorded to ordinary prejudice. . . I admit to being offended by Father Christmas, ‘Baby Jesus’, and Rudolf the Red Nosed Reindeer, but if I tried to act on these prejudices I’d quite rightly be held accountable. I’d be challenged to justify myself. But let somebody’s *religion* be offended and it’s another matter entirely. Not only do the affronted themselves kick up an almighty fuss; they are abetted and encouraged by influential figures from other religions and the liberal establishment. Far from being challenged to justify their beliefs like anybody else, the religious are granted sanctuary in a sort of intellectual no go area. Here are two possible reasons one might offer for kowtowing to a violent threat such as was visited on the Jaipur Literary Festival last week. I shall give in to you because I know that freedom of speech is not part of your culture. Who am I to impose Western, colonialist, paternalistic ideas like freedom of speech on your very different and equally valuable culture? Of course your ‘hurt’ and ‘offence’ should take precedence over our purely Western preoccupation with freedom of speech, and of course we’ll cancel the video link. Nobody would express this patronising thought in quite such brazenly explicit terms, but I have concluded that it is the subtext of a great deal of the woolly, liberal accommodationism that we saw at the time of the fatwa and the Bradford burning of the books, as well as during the Danish cartoon affair. The closest approach to it that I know was the German judge who, in 2007, denied the divorce application of a Moroccan-born woman on the grounds that the Koran permits husbands to beat their wives. On American campuses, they held that if a man so much as looked around with a lustful eye, or called a young female a ‘girl’ instead of a ‘woman’, he was guilty of gross sexual impropriety. Yet abroad it was “more or less OK for a cabal of regressive theocratic bigots to insist on the chador, to cut off thieves’ hands and put out the eyes of offenders on TV, and to murder novelists as state policy. Oppression is what we do in the West. What they do in the Middle East is ‘their culture’. Leftists could not make a stand, because to their minds defending Rushdie would at some level mean giving aid and comfort to racists and strengthening the hand of the one enemy they could admit to having: the imperialist warmongers in Washington, DC. Cohen berates a similar hypocrisy in the treatment of the Somali-born hero Ayaan Hirsi Ali in the Netherlands, when her life was hideously threatened in a letter skewered to the murdered body of Theo van Gogh by the butcher’s knife with which his throat had been cut. The two of them had collaborated on making a remarkably gentle and understated ten-minute film about three quietly suffering Muslim women. That was the ‘offence’, the ‘hurt’ to Islamic sensitivities for which van Gogh was slaughtered and Ayaan threatened. Cohen’s point is that the liberal intellectuals who should have been her natural allies deserted her just when she needed them most. She was forced to flee the Netherlands, where she was a Member of Parliament, and took refuge in the USA, offered sanctuary by an American political institution that was far from her natural political home. Mayer spoke truer than he knew. After Rushdie, the fear of a knife in the ribs or a bomb at the office meant that liberals who stuck by liberalism were in the wrong. They knew the consequences now. If someone killed them, they were guilty of provoking their own murder. In the eyes of most politicians and most of the journalists, broadcasters, academics and intellectuals whose livelihoods depended on the freedom to debate and criticise, the targets of religious violence had no one to blame but themselves. Elsewhere in his book, Cohen discusses bien-pensant responses to the so-called ‘new atheists’ in similar terms. Cohen is rightly sympathetic to the plight of moderate Muslims caught between their own murderous co-religionists on the one hand, and the racist bigots of the white right. He takes ironic comfort from the fact that only one third of young British Muslims between sixteen and twenty-four support the execution of apostates. Only! Oh but of course, we mustn’t be shocked, it’s their culture and we must respect it. 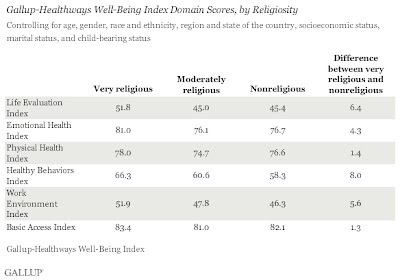 "A new analysis of more than 550,000 Gallup-Healthways Well-Being Index interviews conducted over the last year and a half finds that Americans who are the most religious also have the highest levels of wellbeing. 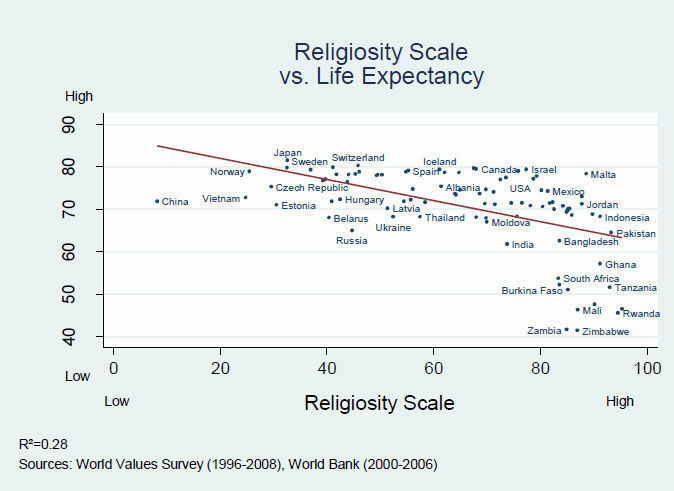 The statistically significant relationship between religiousness and wellbeing holds up after controlling for numerous demographic variables. 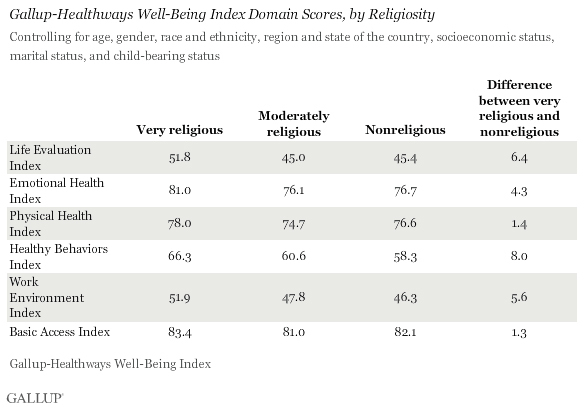 Higher levels of healthy behaviors, life evaluation, work environment perceptions, and emotional health affect religious Americans' high wellbeing. 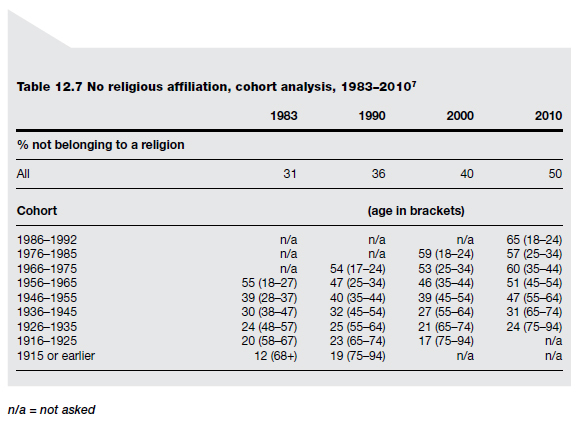 Note that non-religious generally fare better than the moderately religious. 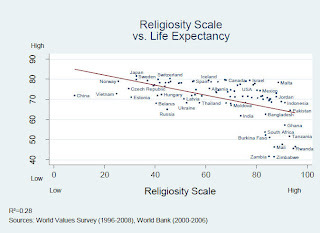 I am thinking that while religion may have positive effects on health, because there's less partying etc., the effects on society at large are not good. Of course, one can't attribute all problems in the south to religion, but it's a matter of fact that religion has lots of negative side effects ranging from terrorism to witch hunting. "People who see themselves as active participants in their faith are less susceptible to depression. 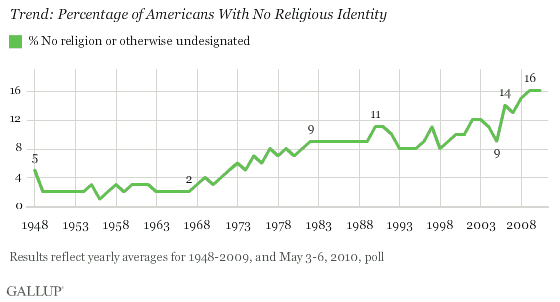 But for those who feel alienated from their religion, it makes them more likely to be clinically depressed. Jack Jensen, director of UVU’s mental health services, and Cameron John, associate professor of behavioral sciences, decided to survey UVU students after Mental Health America ranked Utah in 2007 as the most depressed state in the nation." 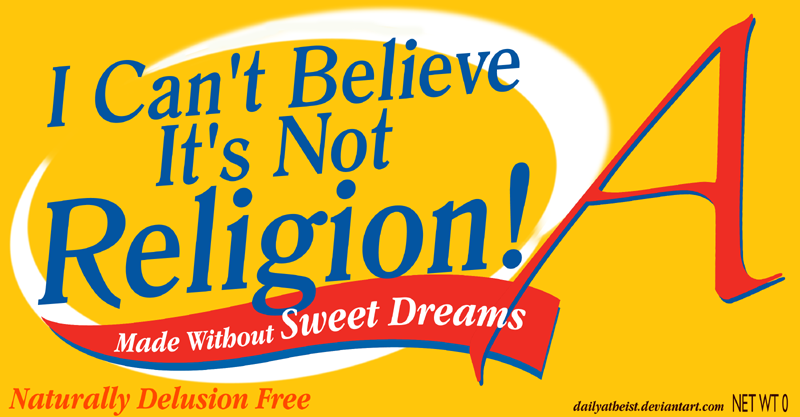 If religion helps against depression, then surely Utah should have been better off. But if you read the article it seems that the religious in-group, dedicated mormons, has better mental health at the expense of others. So I'll stick to Atheism for now. As every atheist knows, it can often be an exasperating task to explain that atheism is not a religion, and well, I guess this picture won't be of any help. Here's a new picture I made. 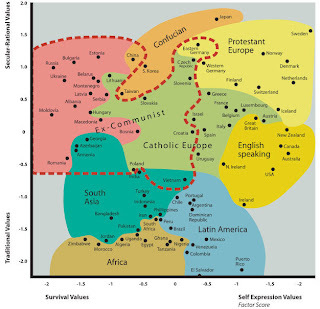 "Atheists are heavily concentrated in economically developed countries, particularly the social democracies of Europe. In underdeveloped countries, there are virtually no atheists. Atheism is a peculiarly modern phenomenon. Why do modern conditions produce atheism? In a new study to be published in August, I provide compelling evidence that atheism increases along with the quality of life (1). 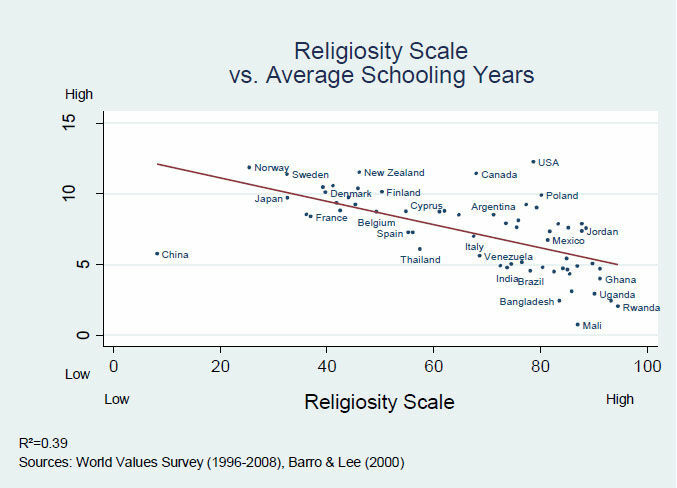 The reasons that churches lose ground in developed countries can be summarized in market terms. 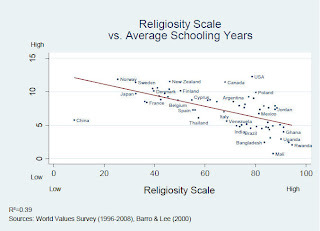 First, with better science, and with government safety nets, and smaller families, there is less fear and uncertainty in people's daily lives and hence less of a market for religion. At the same time many alternative products are being offered, such as psychotropic medicines and electronic entertainment that have fewer strings attached and that do not require slavish conformity to unscientific beliefs." Last month was the first time atheists were knocked from the top of America’s most hated list, an honor that now belongs to the Tea Party. While this development may have more to do with the fact that the mainstream media’s love affair with the Tea Party is not shared by most Americans, it also dovetails with increased visibility and acceptance of atheism. 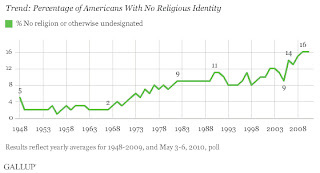 As recently as 1990, all but 7 percent of Americans claimed a religious affiliation, a figure that had held constant for decades. 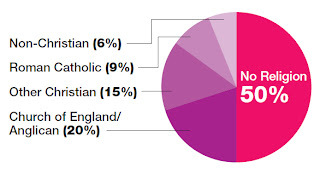 Today, 17 percent of Americans say they have no religion, and these new “nones” are very heavily concentrated among Americans who have come of age since 1990. 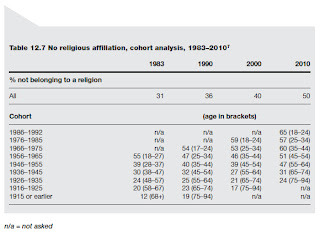 Between 25 percent and 30 percent of twentysomethings today say they have no religious affiliation — roughly four times higher than in any previous generation. In 2008, Focus on the Family had to cut its staff by 18 percent. Last week, FOTF had to do another round of cuts, again citing a drop in donations (though it claims the lower funding is a result of tough economic times). A study last year by TheKnot.com and WeddingChannel.com showed that 31 percent of their users who married in 2010 used a family member or friend as the officiant, up from 29 percent in 2009, the first year of the survey." "This point was demonstrated yet again last week by the latest figures from the government's citizenship survey. 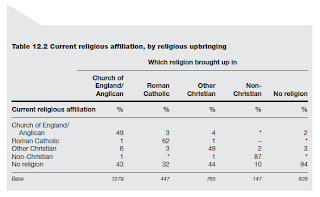 In terms of civic engagement and formal volunteering, the figures show no significant difference between those with a religion and those with no religion (57% and 56% respectively). 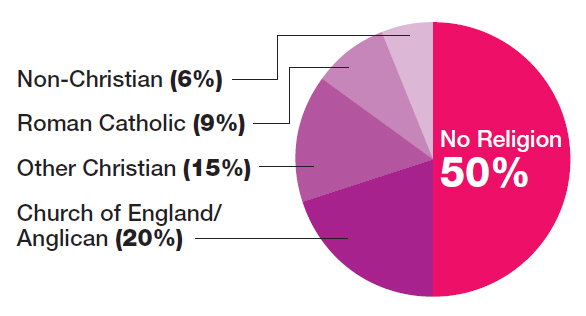 There is scarcely any difference in participation between those with no religion and self-described Christians (56% and 58%). At 44%, the proportion of Hindus and Muslims participating in civic engagement and formal volunteering is actually lower than the proportion of non-religious people doing so, and the lowest of all groups. This is no flash in the pan – it is a continuing feature of the figures over a number of years. The figures supplement other data that makes the same point, not only from previous years' citizenship surveys. 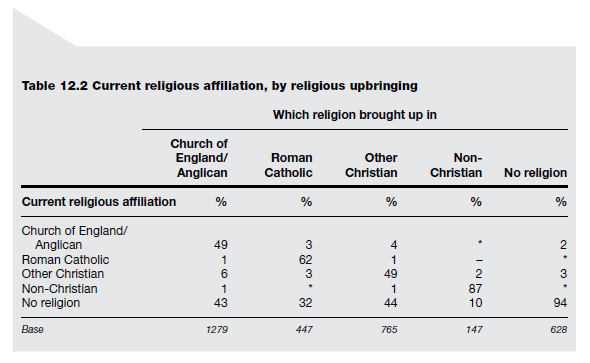 In 2007, Faith and Voluntary Action, from the National Council of Voluntary Organisations found that "religious affiliation makes little difference in terms of volunteering", and as a matter of simple numbers, the overwhelming majority of the voluntary, community and charity sector in the UK are secular." Just as I've been thinking but it's really nice to have the statistics now. 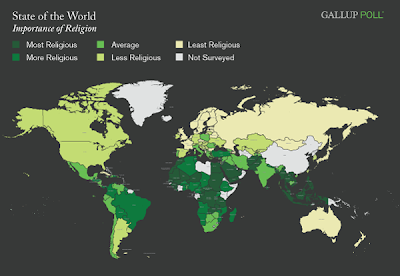 It shows that religion has the lowest priority among mothers and fathers whereas hygiene has the top priority. Here's the full report (page 22). (See also Sca.com for more information about who produced the survey).